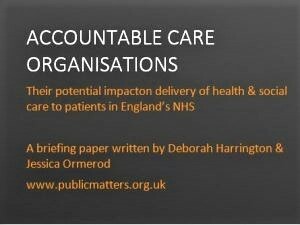 Published at 300 × 225 in Accountable Care Organisations in the NHS: a privatising mechanism? Posted on April 4, 2018. Bookmark the permalink. Leave a comment.